Do you remember how once upon a time children had alphabet story books, which said ‘A’ is for Apple, ‘B’ is for Book, ‘C’ is for Cat, ‘D’ is for Drum? Times have changed. Maybe nowadays children and many adults can relate better to ‘A is for Apps, ‘B’ is for Blog, ‘C’ is for Computer, ‘D’ is for Dongle. What might the eleventh letter of the alphabet ‘K’ stand for in this brave new world of ever advancing technology? Kindle, of course. ‘K’ is for Kindle. Where do you stand in the Books versus Kindles debate? As a book-lover, my bookshelves are crammed with books that enrich my life. I hate getting rid of a book if I’ve enjoyed reading it. It often speaks something new to me each time I read it at different times in my life. Every now and then, the overspill of books, lying sideways on top of each other, prompts me, albeit reluctantly, to take some to a charity shop. But soon after that, my shelves are overly full again. I could swear my books breed. When ebooks first appeared, I’d no desire to read a book from a screen. Give me a paper book any day. I held this view for a long time. But one day I came across Kindles on sale in my local supermarket and a tiny flicker of interest was kindled in me (pardon the pun). I wondered if it would be an easy, quick way of obtaining books for my book club. I hesitated, pondered, almost resisted, but… Reader, I married him. Or rather Reader, I bought one. So what are the advantages of using a Kindle? A big plus is the way books can be downloaded and ready to read in seconds. This is great when you want a book quickly for a book club, or if you’ve just got some spare time and want a book to read straight away. There’s no need to go out to a bookshop or wait for an Amazon delivery. Once engrossed in reading a book on Kindle, you forget about the format. Surely it’s what you’re reading, the content, that’s important. The size and lightness of the Kindle makes it ideal for popping into a handbag. Did you know that, with a Kindle, you can take over 1,000 books on holiday with you, if you so wish (not that I’d understand why anyone would so wish to take quite so many)? But just think about it. Over 1,000 books inside a small Kindle. Wonderful, isn’t it? Over-stuffed book shelves are no longer a problem. Kindles are ‘greener’ than paper books, extremely important in today’s world. They don’t need trees to be chopped down for paper. The print size (or font size I should say) can easily be adjusted to suit those whose eyesight requires bigger letters. Kindles often have a light on them to illuminate the screen. This means you can read in bed without disturbing your partner who might have the strange notion that the early hours are a time meant only for sleeping (some people are funny like that). We can have audio books and various kinds of interactive books on Kindle. I could continue until I sound more and more like a born-again convert to Kindle. We lose the pleasure of flicking though the pages of printed books and enjoying their sight, touch and smell. Perhaps, like me, you love browsing around in bookshops and handling the books on the shelves. I should hate for all physical bookshops to close down. Although the latest Kindles can be solar-powered, an advantage of paper books is that they don’t use any power. It’s extremely annoying to be reading a Kindle on a bus or train when a message suddenly appears on the screen saying your Kindle needs re-charging. You can, of course, press a button and the message disappears. But a bit later, just when you’re happily engrossed in a piece of fascinating text, your Kindle dies, leaving you staring at a blank screen. It’s like in the old days when the television suddenly snuffed out in the middle of an exciting film because you, and therefore the electricity meter, had run out of sixpenny bits or shilling pieces. Those of you who are long enough in the tooth to have been around in those olden days will know what I’m talking about. It does sadden and disturb me to think of the possibility of paper books disappearing, and ebooks becoming the only means of reading books. But does it have to be ‘either’ and ‘or’? Can we have both? I hope so, but maybe in time things will change just as automatic washing machines replaced hand washing. For me, ‘B’ is still for Book, and when I say ‘book’ now, I’m meaning the paper book. But since I’ve come to see how the pleasure of reading can be retained when using electronic devices, I no longer fear and oppose their place in the modern world. Whether we like ebooks or not, they’re here to stay. Let’s be positive about them. So what does ‘K’ stand for? Kindle, of course, and I hope your interest in it has been kindled by this post. ‘K’ is for Kindle. 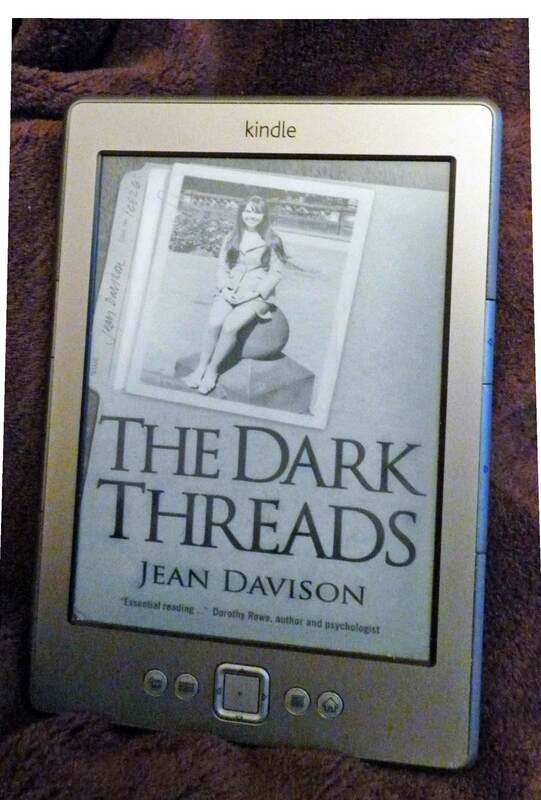 This entry was posted in Books and tagged bookshelves, ebooks, Kindle, technology. by Jean Davison. Bookmark the permalink. Thought provoking post as usual, I have a Kindle but hardly use it! but certainly the ability to enlarge the text and it’s light weight, the ease with which you can obtain texts, newspapers, books and audio, can be so useful for older or infirm people. There are on going concerns of course about the loss of book shops, and the monopoly of Amazon, together with their tax evasion in UK, there have been some interesting, on line discussions on the Guardian blog about how as a user of Kindle/Amazon we might protest, together with some accounts of members collections being deleted by Amazon! Kindle with caution! Thanks for your comments. 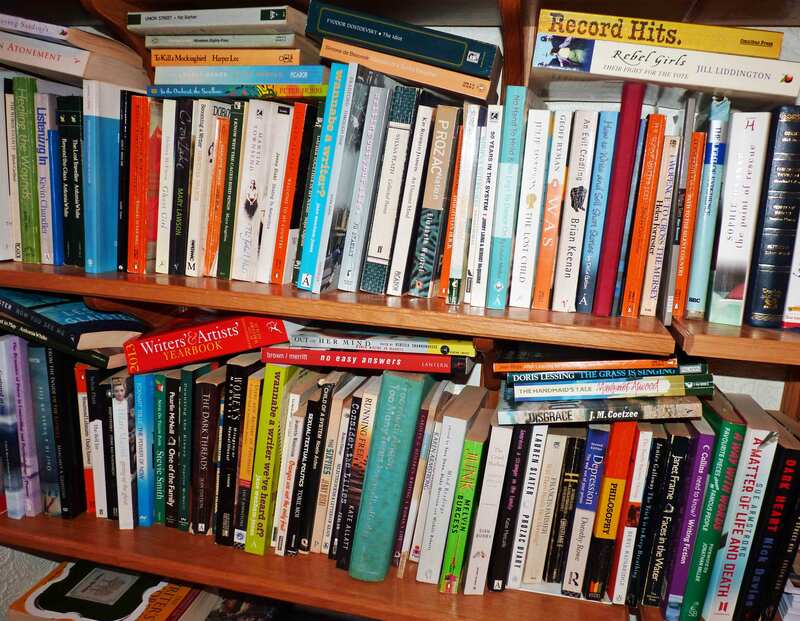 Lots of books available to buy so cheaply on Amazon (which, admittedly, I sometimes buy) may be useful for the public, but there is, undoubtedly, cause for concern about the wider effects, such as ‘physical’ bookshops being forced out of business. The points you make about the monopoly of Amazon, and their UK tax evasion, are important issues. Anyone who feels strongly that Amazon should pay their fair share of corporation tax might like to sign this petition.